Microsoft Windows Surface pricing revealed on Swedish retail website - priced to compete? Swedish website Webhallen.com is listing Microsoft Surface tablet pricing on its site. If these details are correct then pricing would be substantially higher than previously thought. Of particular interest here is the cheapest Arm based WinRT device, a 32GB model, showing up costing around £648.00 or $1000. It had previously been suggested that WinRT tablets would be priced relatively in line with current ARM based tablets. If we were to rule out Android tablets and aim at the higher end iPads for a price guide then comparatively, the Surface is going to be much more expensive. Currently you can pick up a 32GB Wi-Fi only iPad for about £479.00 or £579.00 for the 3g variant. In either case, that puts the Surface well above the current market leader. Even if the Surface device is to be 3g enabled it would still be £70 more expensive in comparison. It has been rumoured that the Surface is not 3g capable, if that’s the case then the price gap leaps to £169. I am personally looking forward to getting a Surface tablet, but if these prices are indeed correct, even the lowest end device will be as expensive as an ultra-book. That’s going to make the purchase a tough call rather than a no-brainer. 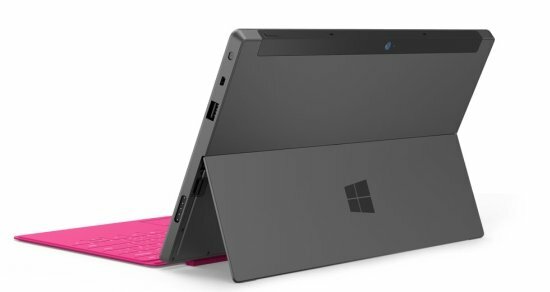 We would have expected MS to price the ARM version at the same level as the iPad. If they are thinking of joining the competitive tablet fray with devices that are priced way above the iPad then there could be trouble ahead. The ARM version will not have the flexibility of Pro when it comes to application compatibility so pricing is key. This version is designed to take the iPad head on, if it cannot compete on price from the get go then we have to ask, "What is the point?" WinRT will of course be on every PC sold from the end of this year but we shouldn’t lose sight of the fact that Microsoft is betting big on WinRT to finally get them into the tablet game. Most ordinary folks that buy an iPad probably stump up for a £399 16GB Wi-Fi version, there won’t be any such option for Surface. The entry-level price will be highly sensitive for consumers, they are reeled in to look at tablets priced at £399 and then they might decide to stump up for a more expensive model. Apple advertises the iPad as costing FROM £399, which is the price to get people to consider it in the first instance. If Surface WinRT tablets aren't providing a similar low-cost option then consumers may overlook them completely. I wonder is that what Microsoft wishes to achieve? We would like to know what you think of these prices. Would you still buy the 32GB version without a thought? Do you think these prices will put MS tablets at an immediate disadvantage? “Our customers are very interested in pre-ordering these products, so we have set a high preliminary pricing for the line-up so that they may be able to pre-order them. I’m more than happy we can put that shocker to rest, we await the real price from Microsoft.